Like any normal human being, you’re probably playing some Apex Legends in your spare time. What you might not know, though, is that the different kinds of ammo you hoover up obey different physics laws. What that means is that depending on the weapon you’re using, your round may take different amounts of time to reach its target. Let’s go back to basics for a moment here. When you fire a real-world firearm, the bullet that emerges from the muzzle of a weapon travels through the air, and the air is a gas that has physical properties. Those properties create drag on the bullet, which means that the bullet experiences drag as it travels through the air on its way toward wherever it was aimed at. 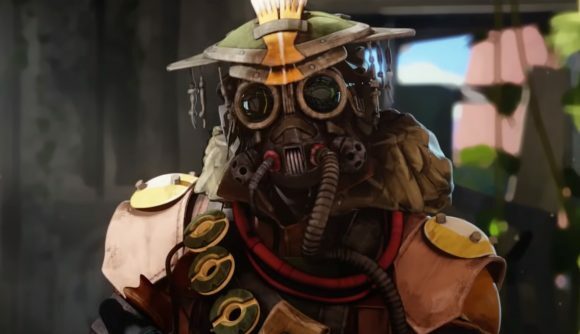 This actually matters in Respawn’s Apex Legends – unless you’re firing an energy weapon. In that case, the laws of physics are temporarily suspended. Apex Legends weapons designer Sean Slayback took to Twitter this week to explain the nuances in the game’s ballistics. It turns out that while Apex Legends is careful to model normal bullet physics in its conventional firearms, it’s happy to experiment when it comes to the more sci-fi elements of the game. As Dexerto reports, Slayback laid out some important distinctions on Twitter this week. Specifically, energy rounds are not subject to the same drag that conventional rounds are, which means they arrive on target faster. In close-range engagements, this is a bit of an academic point. But as players will immediately understand, it matters a lot at sniping ranges. Energy weapons still aren’t hitscan tools, but energy rounds are not subject to normal drag forces created by the wind, Slayback says. King of the thrill: What’s the best battle royale game on PC? From the outside, this seems like a pretty minor distinction. But the fact is, Apex Legends and all battle royale games are games determined by good decision-making and planning, and knowing how your bullets are going to operate is a crucial part of that.